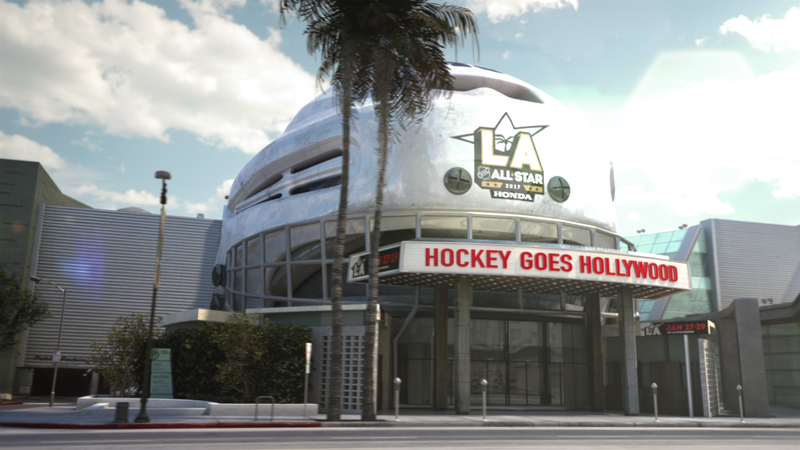 I worked on the Hollywood Sign and Cinerama Dome scene for this NHL commercial. 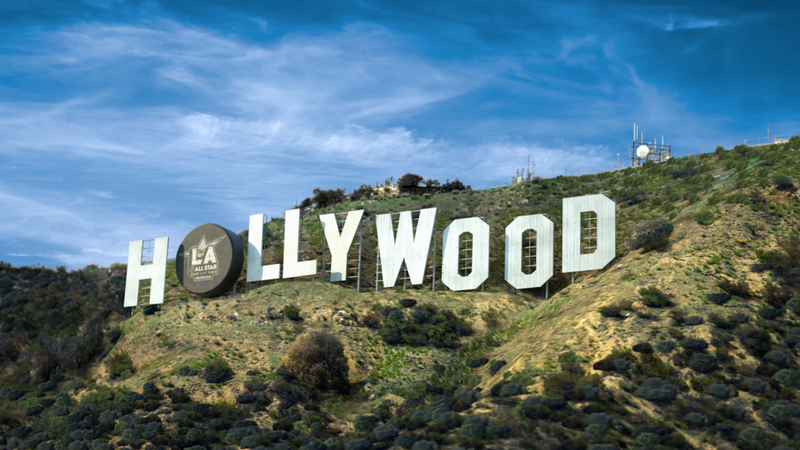 The Hollywood Sign was made using 3D projected images with various props and vegetation cards. The Cinerama Dome (with a hockey helmet on top) was created with a mix of image projections and regular modeling, lighting, and surfacing.